To achieve positive outcomes we need change. This requires informed decisions supported by knowledge. Read our story Try it now! How does metadata improve decision making? By describing the structure of data so that analysis makes sense. More than just defining the fields and format of data, metadata gives us the power to describe what, how and why data was collected. Detailed definitions of structure help to build a better understanding of data by highlighting similarities between data collections. This in turn gives users the power to make valid comparisons between different sources of data. By identifying trends, patterns and outliers we can interpret this new information to understand the change needed to realise our goals. 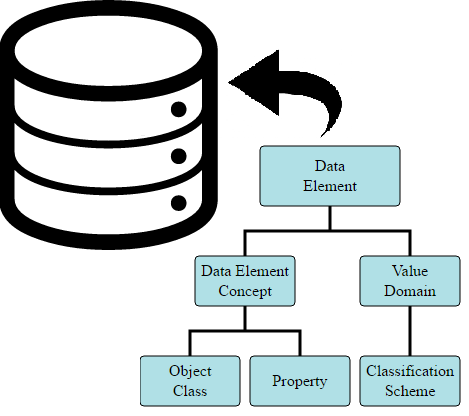 We help define the structure of data to build understanding and knowledge. How does the Aristotle Metadata Registry improve metadata? By making it easier for users to create, share and discover metadata, Aristotle-MDR makes reuse a reality. The Aristotle Metadata Registry is the modern and smarter way for organisations to manage metadata using a blend of tried and tested standards and cutting edge technologies. Web-based and user-focused, it offers a comprehensive suite of metadata authoring tools to make creating metadata easier and a smart search engine makes discovery intuitive. Underneath, there is a rich Application Programming Interface so that your developers can dig into this structure to make data more intelligible and easier to understand. Aristotle is more than a product — it's a growing community of users who understand the need for a world class open-source registry based on open standards for data management and are dedicated to sharing best practice in information management. I am proud to be working on a platform that helps people from all fields share information and improve access to data. Click the map to see where we are. For advice from world-leading metadata experts, send us a message, and we will help your data make sense.